A spreadsheet is a software program to create balance sheets, budgets, timesheets and other types of number-based documents. Spreadsheets provide tools for working with numerical data; you then can display your information in a traditional row-column format, or in a chart. 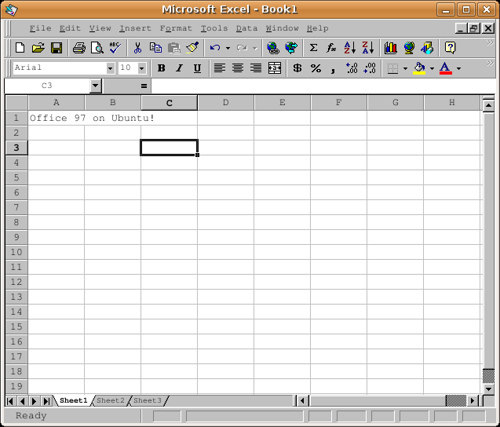 Spreadsheets are usually used by accountants. Why spreadsheets may need to be converted to alternative file formats? Spreadsheets may need to be converted to alternative file formats for many purposes (the standard format for saving spreadsheets in excel is the xls format because the file extension is .xls). You would save a spreadsheet as HTML if you wanted to include your spreadsheet as part of a webpage. Your spreadsheet can be viewed but not edited in this format. You would save a spreadsheet as a PDF if you wanted to publish your Spreadsheet online and allow anyone to download and view it (even if they don’t have a copy of Microsoft Office). This format is very widely used and again it can be viewed but not edited by others. You would save a spreadsheet as a CSV if you wanted to import the spreadsheet data into a database application. This is a text file with the contents of each cell separated by a comma. You would save this if you wanted a plain TXT file.